bernhard added a comment to T4352: jabber.quux.de certificate ran out 2019-01-28 and 2019-03-29. It is good practive to open a public ticket, because otherwise the XMPP users don't know if the fact is already known, reported or being worked on. Alternatively: Let us document the procedure in public what someone should do, if the xmpp server ist down or the certificate is expired. What is that procedure? bernhard renamed T4352: jabber.quux.de certificate ran out 2019-01-28 and 2019-03-29 from jabber.quux.de certificate ran out 2019-01-28 to jabber.quux.de certificate ran out 2019-01-28 and 2019-03-29.
bernhard added a comment to T3505: Port GPGME's Python bindings to Windows. Reading through this issue and the related documentation: Thanks for writing this all down and adding links! bernhard created T4352: jabber.quux.de certificate ran out 2019-01-28 and 2019-03-29.
bernhard added a comment to T4268: Provide a method to build a simple WKD server filestructure on Windows. Precondition: A list of pubkeys, as keyring or as keyring file with list of fingerprints. Goal: a static file structure that can be uploaded on my webserver. Platform: Windows, a better solution does require less additional dependencies apart from Gpg4win. ... that would be useful in many ways. I'd say we should support anyone who wants to use pythong-gnupg on windows. bernhard created T4268: Provide a method to build a simple WKD server filestructure on Windows. bernhard committed rWedf6fde3f52b: Correct NEWS entry for 3.1.5 adding GnuPG version (authored by bernhard). bernhard committed rW92cc0a6b7a87: web: improves statement-efail (minor) 3 typos. (authored by bernhard). web: improves statement-efail (minor) 3 typos. bernhard created T3974: jabber.quux.de certificate ran out 2018-05-09 in the S1 Public space. bernhard added a comment to T3904: Clarify suggestion for diskperf. Got the question about this note from a user (in a internal email) and I see the problem that users do not have enough information to decide this. They do not know what the consequences of this note are (and suspect it to be the cause of error of they see it together with other problems). So to me it is more than a 'wish' as it will generate questions and leaves users in a situation where they cannot progress by their own in most of the situations. bernhard updated subscribers of T3906: A way to list the supported ECC curves. Hint from @gniibe: gpg --with-colons --list-config curve is a workaround. bernhard created T3906: A way to list the supported ECC curves. bernhard updated the task description for T3904: Clarify suggestion for diskperf. bernhard created T3904: Clarify suggestion for diskperf in the S1 Public space. bernhard added a comment to T2019: Order of magnitude degradation in performance in gpg2 cf gpg. @dkg thanks for the link. bernhard added a comment to T3277: decrypting data symmetrically doesn't reliably convey confidentiality property. bernhard added a comment to T3734: Extract signature key ID with gpgme. There was a second person asking for a list-packets feature to verify if a file is encrypted correctly at gnupg-devel. bernhard added a comment to T3817: make tls certificate problems more understandable. Just adding "Connection problem: TLS: " would already help a lot. An additional note: It is harder than with gpg-2.0 to get more details about a failed attempt to receive pubkey material. The keyserver options cannot be called from gpg direclty, but have to be given to dirmngr. I don't have a solution this, it is just an observation. bernhard created T3817: make tls certificate problems more understandable in the S1 Public space. bernhard added a comment to rGcf006cbf7338: doc: Clarify -export-secret-key-p12. It makes --export-secret-key-p12 the recommended way to transport a privat CMS key. (fine, if this is, what was intended). (Note that there is a typo in line 259). bernhard added a comment to T3379: Gpg4win windows publisher signature not always correctly displayed in UAC dialogue. On saturday I could observe the problem with a fresh Windows 10 Home edition. bernhard updated the task description for T3379: Gpg4win windows publisher signature not always correctly displayed in UAC dialogue. bernhard renamed T3379: Gpg4win windows publisher signature not always correctly displayed in UAC dialogue from Gpg4win windows publisher signature not always correctly displayed in UAT dialogue to Gpg4win windows publisher signature not always correctly displayed in UAC dialogue.
. For Gpg4win there is no such warning. Another observation: Just opening the file from the explorer is not enough, but once I was on the details of the digital signature, opening works. So for whatever reasons Firefox and Chromium do not trigger the security check. Observation: When downloading a new version of Firefox, there is another dialog before the UAC comes and the following UAC is fine then. Question: Why does Gpg4win3.exe directly goes to the UAC and firefox.exe triggers a different dialog? So I can reproduce the problem on a Windows 7 virtual machine with all important updates up to the 5th of February, 2018.
bernhard committed rW6cff8a30680a: web: improves package-integrity page. (authored by bernhard). bernhard committed rWa7ed2ffe023e: Web: Adds hint about PGP-2 keys to version3 news. (authored by bernhard). Web: Adds hint about PGP-2 keys to version3 news. bernhard updated subscribers of T3788: Document how to "exchange the private key". bernhard updated the task description for T3788: Document how to "exchange the private key". bernhard created T3788: Document how to "exchange the private key". bernhard added a comment to T3348: gpgsm: should default to --disable-crl-checks. When disabling CRL checks, you expose the user to drawbacks by outdated or revoked certificates. While I agree that improving implementations to not check the validation information too often or even build proxies is a good idea, I have a tendency to keep crl checking enabled for CMS crypto operations because it seems to be a lesser drawback. bernhard updated the task description for T3355: GpgOL does not detect some OpenPGP NO-MIME mail body and attachments (multipart/related). bernhard created T3776: Indicate that and why PGP-2 pubkeys (or secret) keys are not imported in the S1 Public space. bernhard committed rW77880110fbb2: web: Cleanup: Removes deactivated sections. (authored by bernhard). bernhard committed rW5c48dde66bef: web: updates some links to https (authored by bernhard). bernhard committed rW04a91af8ae6a: web: improves news links to 3.0.3 (authored by bernhard). bernhard added a comment to T3725: jabber.quux.de certificate ran out 2018-01-09.
bernhard added a comment to T3468: Admin for Phrabicator needed. bernhard committed rWf57154d6b692: Fixes build-history.awk's version number output. (authored by bernhard). Fixes build-history.awk's version number output. bernhard created T3725: jabber.quux.de certificate ran out 2018-01-09 in the S1 Public space. Does the behaviour change if you "investigate the certificate chain" through -> Properties -> Digital Signatures? bernhard added a comment to T3537: GpgOL - Outlook shows empty email body for encrypted email. I'll take it that you are using an IMAP/SMTP setup for mail transportation? bernhard updated the task description for T3545: GpgOL: Support G Suite Sync Accounts. bernhard renamed T2985: CRLs are not automatically loaded, when trying to send a mail to S/MIME recipient from crl are not automatically loaded, wen trying to send a mail to S/MIME recipient to CRLs are not automatically loaded, when trying to send a mail to S/MIME recipient. bernhard renamed T3514: GpgOL: Sending deprecated, no-MIME OpenPGP (aka 'inline' OpenPGP) encrypted Mails does not work from GpgOL: Sending Inline PGP encrypted Mails does not work to GpgOL: Sending deprecated, no-MIME OpenPGP (aka 'inline' OpenPGP) encrypted Mails does not work. bernhard committed rWc69515d05fff: System Requirements: limits Exchange versions. (authored by bernhard). System Requirements: limits Exchange versions. bernhard committed rW0f4478f71571: Fixes typo 'Vorraussetzung' (authored by bernhard). bernhard committed rW38eb7a6cd4f3: DOCS: Improves README.de.txt similiar to .en.txt. (authored by bernhard). DOCS: Improves README.de.txt similiar to .en.txt. bernhard committed rW23e16f6f5d14: DOCS: improves README.de.txt (minor) (authored by bernhard). bernhard committed rW64f8b287f157: DOCS: Improves README.en.txt (minor) (authored by bernhard). bernhard committed rWdb5311e0bdaf: NEWS: Improves 3.0.0 section. (authored by bernhard). bernhard committed rW9d9d94b0f28b: News: Overhauls README.en.txt (authored by bernhard). bernhard committed rW0cc739deabdc: NEWS: Fixes 3.0.1 entries. (authored by bernhard). bernhard committed rW6def8bda8f74: Improves NEWS for 3.0.1 and 3.0.2. (authored by bernhard). Improves NEWS for 3.0.1 and 3.0.2.
bernhard committed rWbc443fbb8073: Adds hints that we aim for VS-NfD. (authored by bernhard). Adds hints that we aim for VS-NfD. bernhard added a comment to T3442: S/MIME - Encrypt Option produces broken Mails in Sent Folder and leads to crash of GpgOL. @tstreibl thanks for helping with your feedback! @aheinecke Regarding closing: I'd say that we should have a test on this one and then close it for only the refocussed "send-folder problem". Can you provide an updated gpgol.dll drop in replacement? Some of the users in the forum may be willing to test as well. bernhard reassigned T3442: S/MIME - Encrypt Option produces broken Mails in Sent Folder and leads to crash of GpgOL from bernhard to aheinecke. bernhard added a comment to T3487: Check ldap timeout for CMS certificate search. So maybe there is also a display problem, as I saw 0:00 in Kleo. I have to recheck. bernhard created T3487: Check ldap timeout for CMS certificate search in the S1 Public space. Comparing the gpgol.log files in the case of OpenPGP decryption (successful) and S/MIME decryption in send folder (failing). bernhard added a comment to T3459: GPGOL Moving mails is not possible if the decrypted / verified content is loaded. bernhard updated subscribers of T3470: Issue with the Sign and Encrypt Explorer Context Menu option. bernhard added projects to T3470: Issue with the Sign and Encrypt Explorer Context Menu option: Windows, gpg4win. bernhard added a comment to T3470: Issue with the Sign and Encrypt Explorer Context Menu option. Yesterday I could reproduce that emails in the "send" folder cannot be decrypted anymore. bernhard claimed T3442: S/MIME - Encrypt Option produces broken Mails in Sent Folder and leads to crash of GpgOL. This week I'm trying to make progress with this issue. bernhard updated the task description for T3442: S/MIME - Encrypt Option produces broken Mails in Sent Folder and leads to crash of GpgOL. bernhard created T3445: Update mkportable for Gpg4win 3.0 in the S1 Public space. bernhard renamed T3440: jabber.gnupg.org - Unable to Connect since 2017-10-06 from jabber.gnupg.org - Unable to Connect to jabber.gnupg.org - Unable to Connect since 2017-10-06.
bernhard added a comment to T3440: jabber.gnupg.org - Unable to Connect since 2017-10-06.
bernhard assigned T3440: jabber.gnupg.org - Unable to Connect since 2017-10-06 to werner. bernhard committed rWa5e10bc037c4: Merge branch 'website' of git+ssh://playfair.gnupg.org/git/gpg4win into website (authored by bernhard). bernhard committed rW5f70a25ebf20: System-requirements: improves. (authored by bernhard). bernhard added a comment to T3435: Give an option during installation to fuse GnuPG executables with rest of executables from Gpg4win installation. I agree that it is better to keep it in two directories. bernhard created T3425: Gpg4win support for Windows Vista and XP for the Qt5 relevant parts (pinentry-qt and kleopatra). bernhard committed rWfe970a155095: versions: improves description. (authored by bernhard). bernhard committed rW368a85acfb71: version3: Improves descriptions. (authored by bernhard). bernhard committed rW6bb5bdfc783d: version3: improves towards the user perspective (authored by bernhard). bernhard committed rW22f0a43f4b66: Version3: Improves headline. (authored by bernhard). bernhard renamed T3411: TLS problems with ntbtls with some ECC curves (discovered with hkps://pgp.mailbox.org on Windows) from TLS problems with ntbtls with some ECC curves to TLS problems with ntbtls with some ECC curves (discovered with hkps://pgp.mailbox.org on Windows). bernhard renamed T3411: TLS problems with ntbtls with some ECC curves (discovered with hkps://pgp.mailbox.org on Windows) from Diagnosing a TLS problem with ntbtls on Windows 10 to TLS problems with ntbtls with some ECC curves. bernhard assigned T3411: TLS problems with ntbtls with some ECC curves (discovered with hkps://pgp.mailbox.org on Windows) to werner. bernhard created T3411: TLS problems with ntbtls with some ECC curves (discovered with hkps://pgp.mailbox.org on Windows). bernhard committed rW8112d7108103: version3: fixes typo. (authored by bernhard). 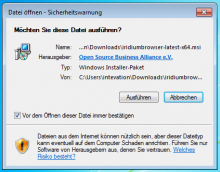 bernhard committed rW14b92f31ce24: Installer: Improves links to webpage. (authored by bernhard). 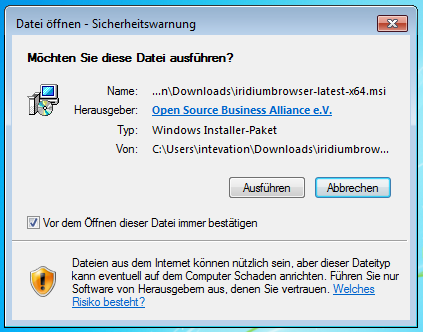 Installer: Improves links to webpage. bernhard committed rW1394d07400c3: Images: Adds sources for new imgs. (authored by bernhard). Images: Adds sources for new imgs. bernhard committed rW85cce464b65d: Replaces favicon and bulletin graphics. (authored by bernhard). bernhard committed rWfa315e532c64: menubar: improves whatsnew button text. (authored by bernhard). menubar: improves whatsnew button text. bernhard committed rWb075a23a7fb1: menubar: improves whatsnewbutton text. (authored by bernhard).